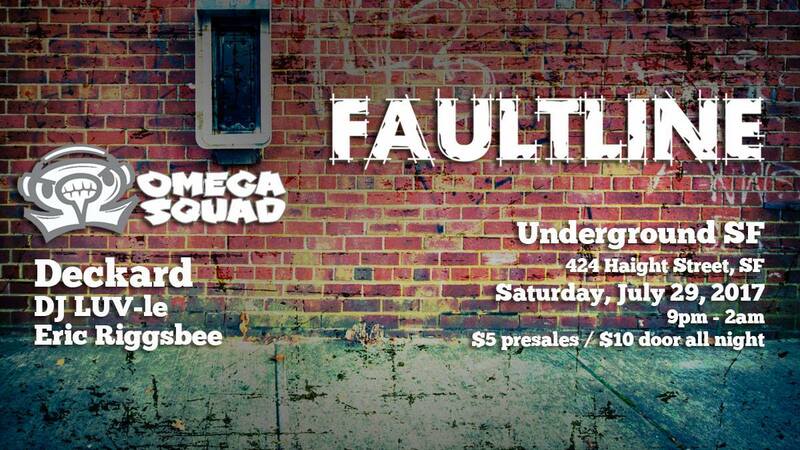 Faultline: next event - July 29, 2017 with Omega Squad and Deckard!!! next event - July 29, 2017 with Omega Squad and Deckard!!! We are bringing in the big boys for this one! 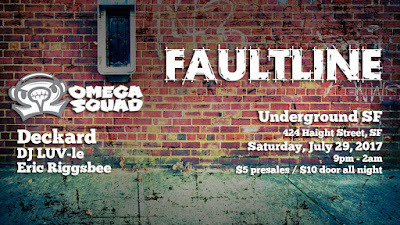 Faultline presents Omega Squad from San Diego, Saturday July 29th at UNDERGROUND SF! Limited $5 presales coming April 8th!